The Dallas Institute of Culture and Humanities and the Dallas Architecture Forum presented a panel discussion on “Making Fair Park Work” as a pre-cursor to the 2016 Festival of Ideas. The program was held at the Hall of State at Fair Park on Tuesday evening January 26, 2016, with a standing-room only crowd of more than 450 people. Audience members included Dallas City Council members, landmark commissioners, city staff members, real estate developers, preservationists, neighborhood activists and residents, and concerned citizens from all areas of Dallas. The evening’s discussion had a key connection to the 2016 Festival since this year’s festival was later held at Fair Park. Moderated by Mark Lamster, architecture Critic of The Dallas Morning News, the discussion included panelists with a wide range of expertise and priorities for Fair Park. Panelists were Walt Humann, DART founding board chair and former Hunt Oil executive; Virginia McAlester, preservationist and founder of Friends of Fair Park; Vicki Meek, manager of the adjacent South Dallas Cultural Center; Alan Walne, former chairman of the State Fair’s board of directors; and Don Williams, former Trammell Crow CEO. Williams has been actively involved with neighborhood residents in the area, discussing what should be done with Fair Park, and Humann is leading the Fair Park Foundation efforts in coordination with Dallas Mayor Mike Rawlings. Major constituents such as the State Fair management organization, preservationists, and neighborhood groups have very divergent views on what should be done for Fair Park’s future. Humann indicated that the Mayor’s Task Force would continue dialogue with all of these key groups as it developed plans for the City Council to review. During the evening, another key questions emerged: “Whose park is Fair Park? This question was posed to the panelists by Antong Lucky, a former gang member who is now an anti-crime activist. The consensus was that Fair Park belongs to everyone, but determining who and how its future should be determined is an issue fraught with major financial, socioeconomic and political issues. The Dallas City Council is considering a proposal to form the Fair Park Texas Foundation, a nonprofit organization that would manage the park for the city. However, initial discussions call for the city to both fund capital improvements and to materially increase how much it would provide the foundation for Fair Park management over its current city-budgeted expense. This proposal creates controversy since the foundation is viewed by many area residents as lacking accountability to the citizens of Dallas, and especially the Fair Park area residents. 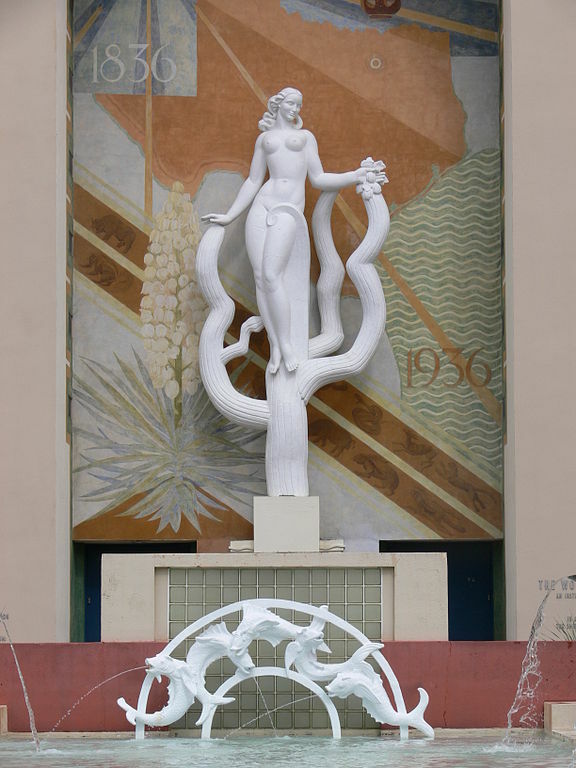 There was also discussion on the fact that Fair Park needs around $100 million in immediate capital improvements, with a “wish list” over several hundred million dollars more to completely renovate the buildings and grounds. The city would need to fund these renovations through a bond package, but competing priorities such as streets and crime prevention would make it a challenge to get a Fair Park bond proposal approved. Much of the evening focused on “putting the park back in Fair Park.” When pressed by other panelists and audience members, Walne said the State Fair Board would support moving some empty buildings out of the Fair Park gates, but many area residents in attendance demanded that the gates be torn down completely, referring to it as a “gated community” that keeps out local citizens from the grounds. The evening concluded with a commitment from Humann that the city government wanted feedback from the community on the future of Fair Park, and he extended an invitation to attend an upcoming City Council session designed to receive that feedback. Read more about the 2016 Festival of Ideas here.